Xiaomi Technology Co Ltd will acquire a stake in Chinese video streaming firm Youku Tudou Inc, cementing ties between China's leading smartphone maker and one of the most popular content providers in the video-hungry country. In a joint statement on Wednesday, the companies said the transaction would take place on the open market but did not specify how large the smartphone maker's stake would be or how much would be invested. Word of the stake acquisition, coming a week after Xiaomi pledged to invest a total of $1 billion (628.22 million pound) to expand its Internet TV content, adds to the frenzy in China's fast-growing online video market. E-commerce giant Alibaba Group Holding Ltd already owns nearly a quarter of Youku Tudou. Online video sites include those run by Sohu.Com Inc, Baidu Inc's iQiyi and Tencent Holdings Ltd have been jockeying for position in a market estimated to be worth $3 billion in 2014. Youku Tudou and Xiaomi will jointly invest in the production and distribution of online video content and films, while Xiaomi will license Youku Tudou's video content, the companies said. 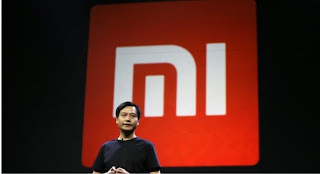 But Xiaomi may be entering a regulatory quagmire. China's authorities have in recent months moved to cut unapproved and "harmful" online TV content, which had been freely proliferating. The world's third-largest smartphone maker has been ramping up its push into the living room by offering a set-top box as well as a Mi TV television set. The investment in Youku Tudou shows how Xiaomi's strategic direction may put it increasingly at odds with Alibaba, the $285 billion behemoth that also offers set-top online video boxes. As of May, Alibaba Group owned a 23.4 percent stake in Youku Tudou, now worth slightly more than $1 billion, part of the e-commerce titan's own push into selling digital products such as online film and TV. Alibaba, meanwhile, has long been rumoured to be interested in the mobile handset market, although Executive Vice Chairman Joe Tsai told reporters this week he didn't think Alibaba had plans to buy a phone maker. "The question was are we going to go out and buy a (handset) manufacturer to accomplish what we want. I don't think so." In August 2013 Xiaomi invested in Israel's leading gesture control start-up Pebbles Interfaces.